Have the "Best of Both Worlds" - Boating and Beach living in this Island Paradise. 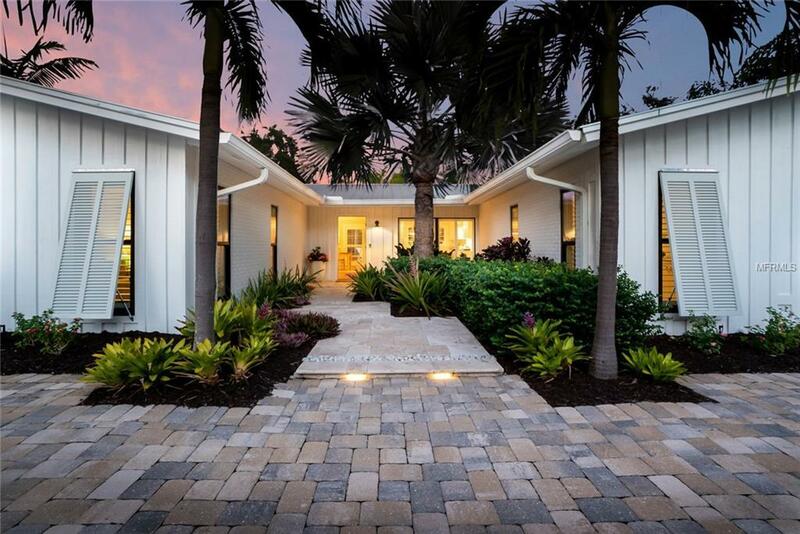 Pristine Siesta Key Canalfront home, totally renovated in 2014, in a tranquil Coastal style. French doors in the Master Bedroom open to beautiful gardens and a spacious spa-inspired master bath with elegant Quartz counters, dual sinks, & custom cabinetry. There are 3 separate bedroom wings. The Mother-In-Law Suite has a private entrance, its own AC, its own alarm keypad, and access to a private garden. The third bedroom suite consists of 2 bedrooms and a bath. One of these bedrooms is being used as a study and has its own private entrance and opens to a garden. The open eat-in kitchen with center island, boasts stainless appliances, Subzero Refrigerator, Viking propane gas Range and Oven, Bosch dishwasher, marble counters and custom cabinetry. 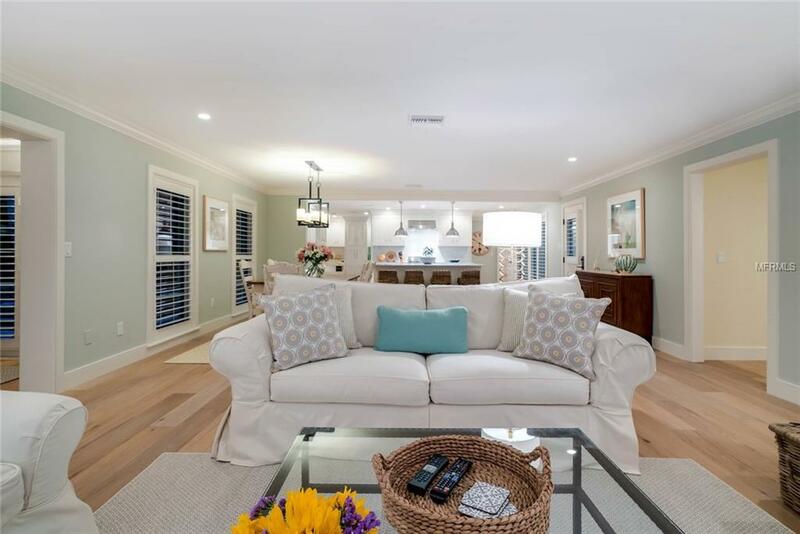 Throughout the home is Du Chateau engineered oak wood flooring, French doors, Plantation shutters, Impact glass windows and doors, and metal roof. 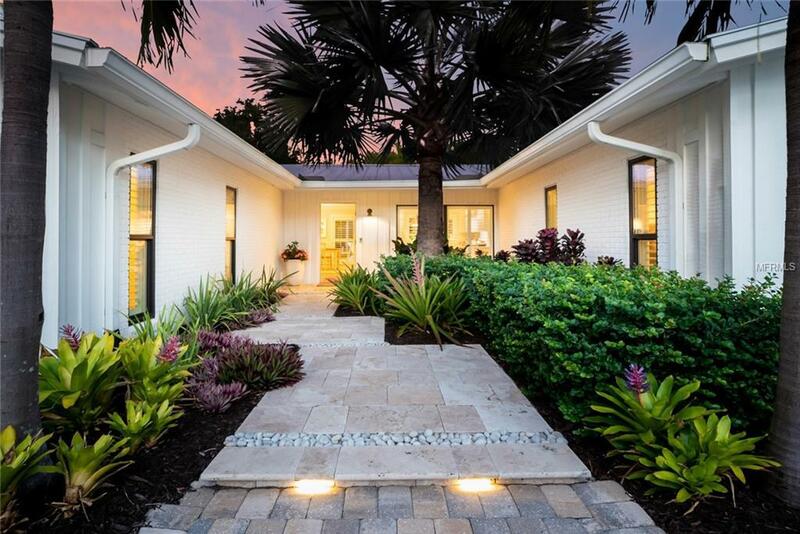 Enjoy indoor/outdoor living surrounded by lush tropical landscaping. Relax in the unique "zen-like" garden & the custom designed 41 ft heated lap pool, with a center lounge area and sunshelf, or the serene screened lanai. 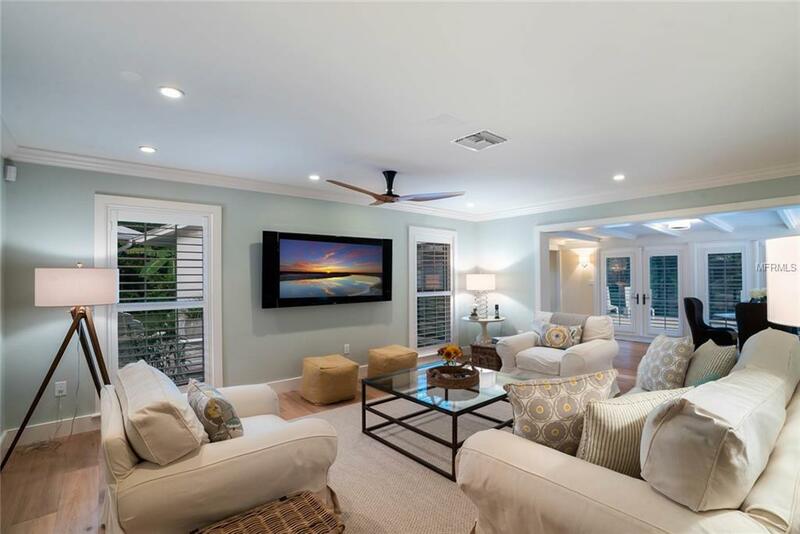 The property is sited on 1.5 lots with 0.42 acres, 120ft of canalfront with a 29' cutout for a boat & no bridges to the ICW for quick access. Just 0.3 mile stroll or bike ride to beach access #13 at Point of Rocks. Enjoy the Sunrise over the canal and take a short stroll to Crescent Beach to enjoy the beautiful sunsets. Additional Water Information The Cutout in The Seawall For Boat Dockage is 29' Long.